Water Chemistry Ideally, hard and alkaline. 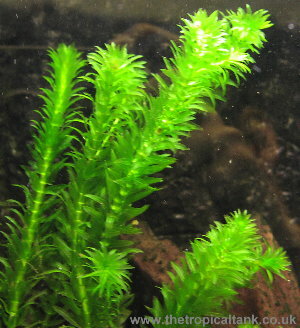 Comments This plant grows rapidly in sufficient light, and is ideal for absorbing excess nutrients in new tanks. It can be easily propagated by cuttings. It will tend to be paler and thinner if grown in softer, more acidic water.